Its that time of the year! When its alright to have cob webs on your front porch for decor. Here are some helpful tips that the American Academy of Pediatrics (AAP) has put out and some of our own Yarbrough Group practices as well. 1. Make sure that your child’s costume is bright colored. If your child is insisting on being a “shadow” like below. Consider adding reflective tape to their costume or add some glow sticks as well. 2. Make sure that shoes fit well and that costumes are short enough to prevent tripping, entanglement or contact with flame. 3. Who doesn’t love a 4 year old in a gigantic mask? Because masks can limit or block eyesight, consider non-toxic makeup and decorative hats as safer alternatives. Hats should fit properly to prevent them from sliding over eyes. 4. Make sure that swords and canes used in costumes are dull and not sharp. There are a lot of great foam pieces that can be used as well. 5. Obtain flashlights with fresh batteries for all children and their escorts. Or make your child into their own flash light like this parent did. 6. When carving pumpkins, consider using a flashlight or glow stick instead of a candle to light your pumpkin. If you do use a candle, a votive candle is safest. 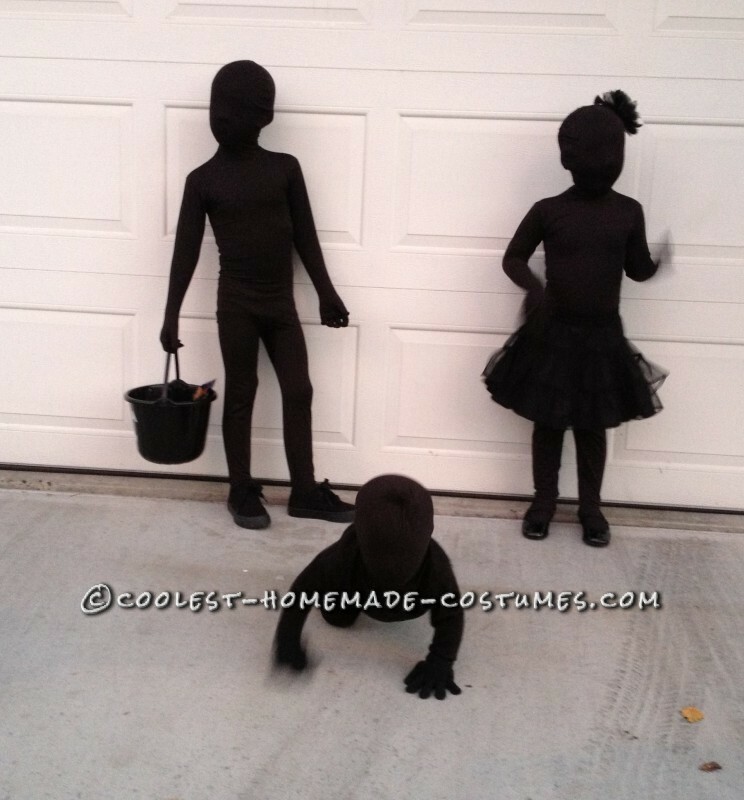 7.To keep homes safe for visiting trick-or-treaters, parents should remove from the porch and front yard anything a child could trip over such as garden hoses, toys, bikes and lawn decorations. 9. Wait until children are home to sort and check treats. Though tampering is rare, a responsible adult should closely examine all treats and throw away any spoiled, unwrapped or suspicious items. We hope that these tips and videos will help with your Halloween experience. Happy Halloween from The Yarbrough Group!